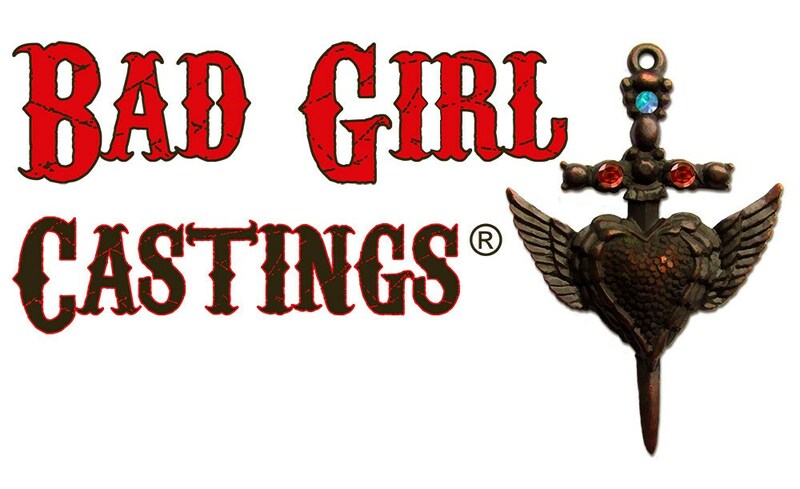 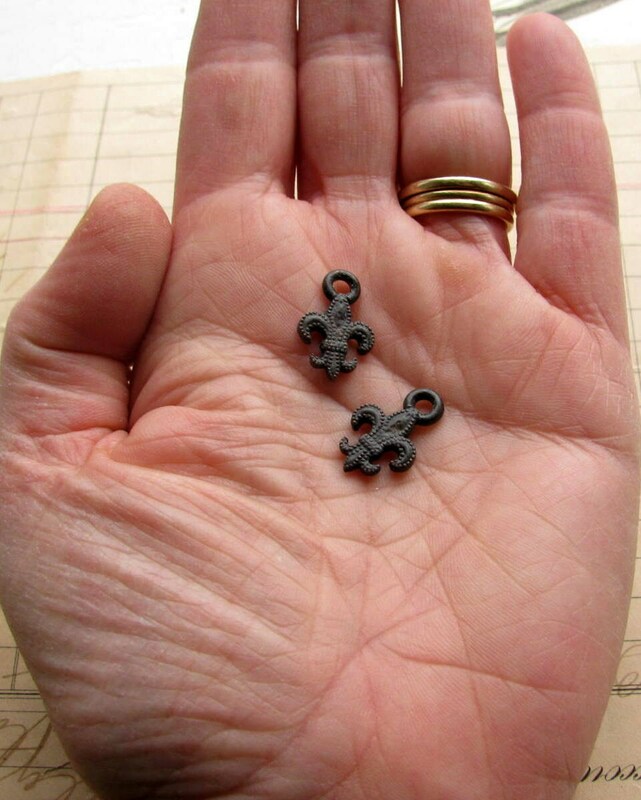 These little fleur-de-lis charms from Bad Girl Castings® have loops at the top so that you can attach them as charms or hanging embellishments. 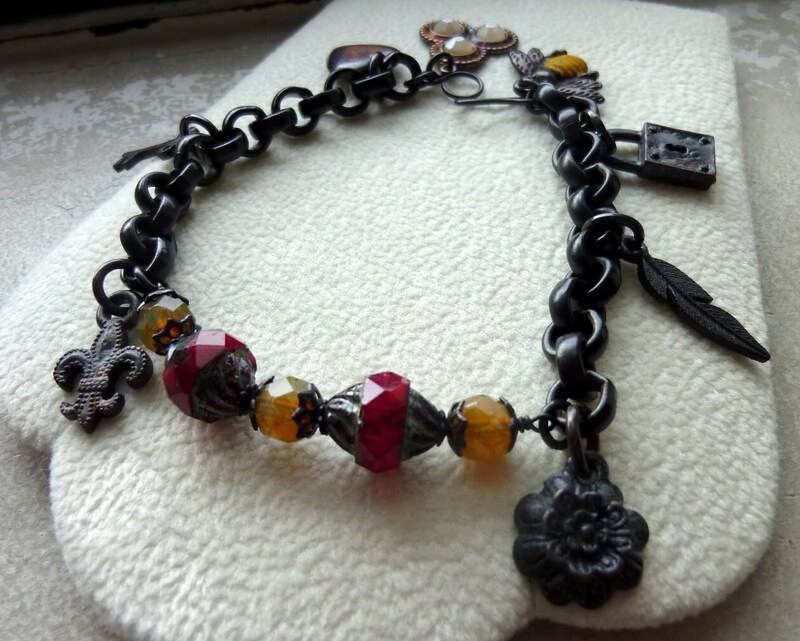 The 19mm measurement includes the loop at the top of this charming ornament. 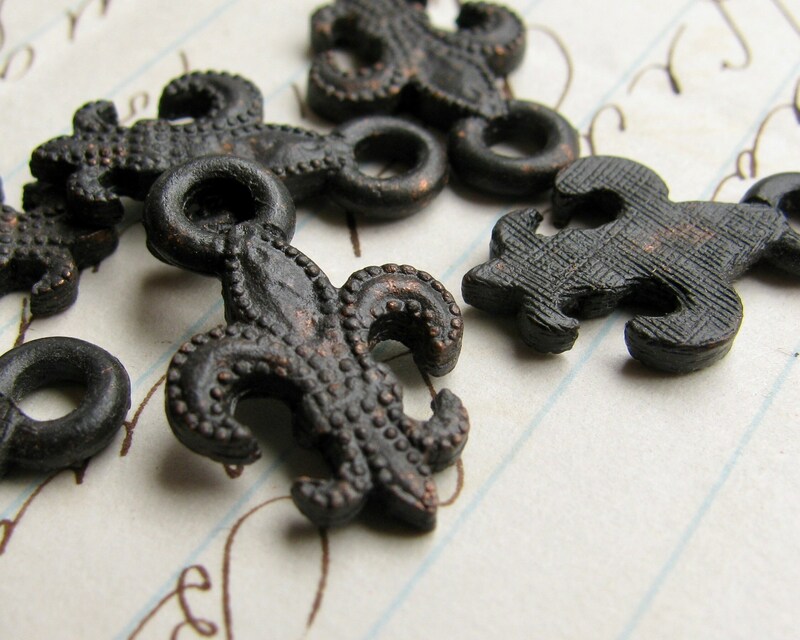 The black patina is purposefully distressed and weathered. 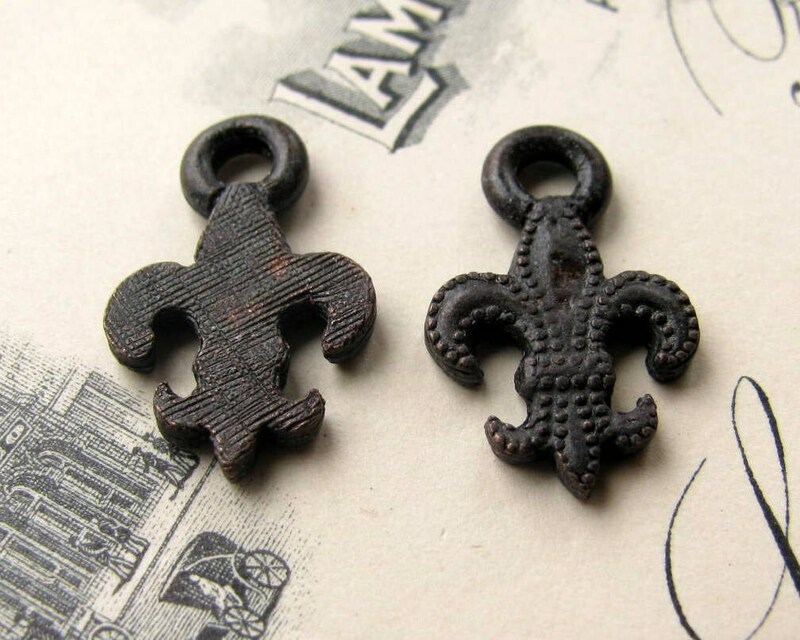 Fleur de Lis charms, 19mm, antiqued black pewter (4 charms) oxidized patina, rustic, weathered, French New Orleans vampire symbol CH-SC-031 Adorable well made pieces !! !